Jason Re, CPA provides tax services to a diverse range of clients including mid to large-size businesses, estates and trusts, and high net worth individuals. He works closely with clients to establish financial goals and utilizes key reporting systems to ensure clients remain on track to achieve those goals. 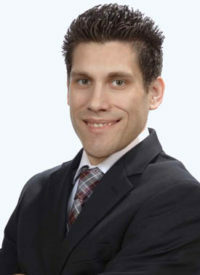 Jason has more than 13 years of experience in taxation working specifically with multi-state high net worth clients, mid to large size corporate partnership, and LLC returns with assets over $20 million. Prior to joining Cowan, Gunteski & Co., P.A., he worked for mid-size firm in New York City for over a decade where he led the tax research department, and was insturmental in keeping the firm apprised of new and current events in tax law.